Malaysia’s Constitution defines ethnic Malays as Muslims, leaving Malays with no choice but to identify as Muslim. 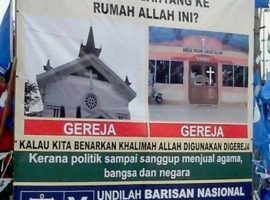 Conversion to Christianity is against the law in almost all states, as is evangelism among Malay Muslims. 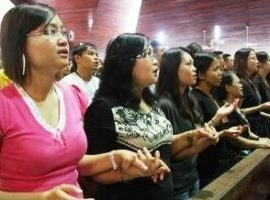 Political, social and religious instability is on the rise, while increasing intolerance towards Chinese, Indian and indigenous tribespeople affects Christians, too, as most belong to these minority groups. 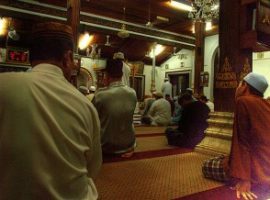 Political parties like the ruling UMNO and opposition PAS uphold and protect Islam, and government officials therefore strive to maintain or increase the Islamic influence on society to the detriment of non-Muslim minorities, e.g. by running Islamization strategies. Various Muslim NGOs see themselves as “champions of Islam” and have the support of the government. Their statements and actions often stir up racial disharmony and religious discrimination.